Diwali just seems incomplete without Motichoor ke Ladoo! 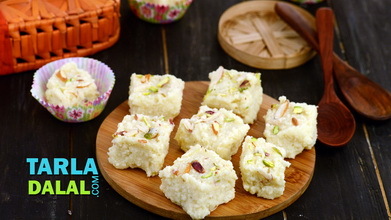 Just the sight of this famous mithai reinforces the mood of festivity. However, many think it is very difficult to make and buy it from outside. 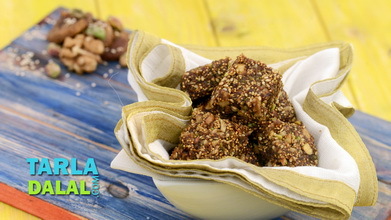 Try this foolproof recipe at home. 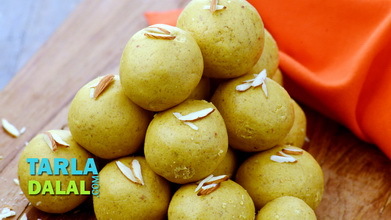 Just follow the exact proportions and you will get the perfect Motichoor Ladoo, with the rich taste of besan and irresistible aroma of cardamom and saffron. The crunch of nuts makes the experience all the more awesome. 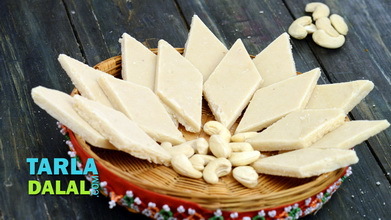 Make sure you do not store these ladoos in the refrigerator because they will harden and the succulent softness will be lost. Combine all the ingredients in a deep bowl and mix well using a whisk till smooth. 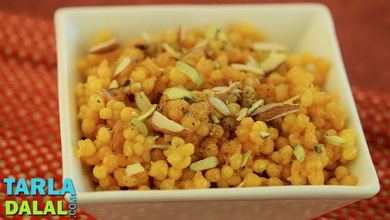 Heat the ghee in a deep non-stick pan and hold the perforated spoon (boondi jhara) over the hot ghee. Repeat steps 2 and 3 to make 3 more batches of boondi. 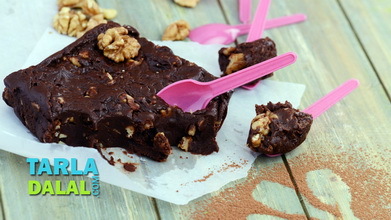 Cool slightly and blend it in a mixer till they are coarsely crushed. Keep aside. Combine the sugar, lemon juice, orange food colour and ½ cup of water in a deep non-stick pan, mix well and cook on a medium flame for 5 minutes, while stirring occasionally. 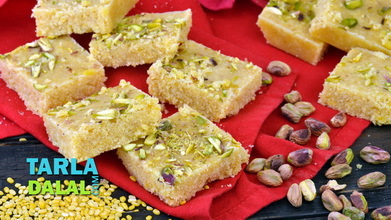 Switch off the flame, add the pistachios, melon seeds, saffron strands, cardamon powder and rose essence and mix well. Switch on the flame, add the crushed boondi, mix well and cook on a very slow flame for 3 minutes, while stirring continuously. Transfer the mixture on a plate, and allow it to cool slightly for 10 minutes. Divide the mixture into 13 equal portions. 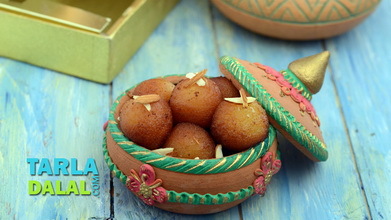 Grease your palm with a little ghee, take a portion of the mixture and shape to make round ladoos. Keep it aside for 2 to 3 hours and roll again and serve or store in an air-tight container and use as required. 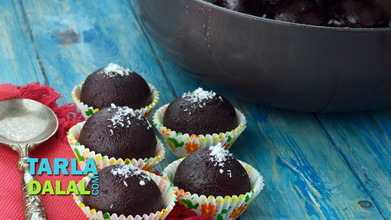 These ladoos can be stored at room temperature for 4 to 5 days.